1.) Cover everything and prepare areas for work to be completed. 2.) Determine best way to remove popcorn off of ceiling. 3.) Skim ceiling with finishing water base compound. 4.) 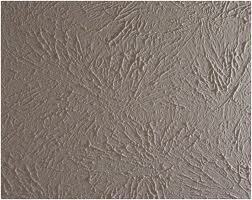 Sand ceilings until ceiling surface is smooth. 5.) Correct areas that need to be touched up. 6.) Once ceiling is fully prepped and smooth we will put on 1 coat of SW Problock oil base primer sealer. 7.) Paint with 1 coat of SW Masterhide or Promar 400. Scope of work: To hang, finish, and paint new drywall to cover the current stippling that is present. Due to the nature of stipple texture, better results are achieved by hanging new drywall rather than attempting to remove, sand, and refinish the stipple texture. 1) Cover all floors, prepare areas for work to be completed. 2) Carefully remove crown moulding from applicable areas. 3) Hang, tape, and finish 1/4 inch drywall on all stipple ceilings. We will make sure the new boards are securely fastened into the studs. 4) We will apply 1 coat of PVA Primer to all new drywall to equalize porosity. 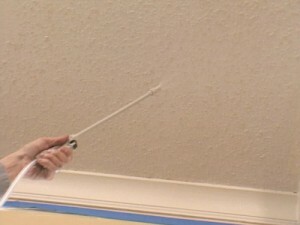 5) We will apply 1 coat of Master Hide to all prepped and primed ceiling areas. 6) We will reinstall, recaulk, and repaint crown moulding (where applicable). 7) Quality inspection, necessary touch-ups, and clean up will be performed to complete this project.